Beaverton, OR, WPH Press, 4/15/19- The first ever H S State Championship was held in conjunction with the ’19 OR State Handball Championships, as Horizon Christian School (PDX) brought over a 12 students to the tournament. 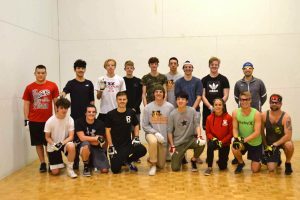 The students were broken into three round robin pools, with freshman Josh Rogers winning the A division, freshman Caleb Yuan winning the B division, and eighth grader Jacy Johnston winning the C division. Uziel Rodriguez advanced to the King of the Courts final, overcoming Chris Cedeno in a sensational 16-14 one-game match to challenge Carl Hayden’s top star Rodrigo Silva for the crown. 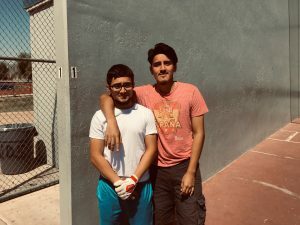 “Uziel’s and Chris’ match was a wonderful exchange of good handball,” beamed Coach Hogan. 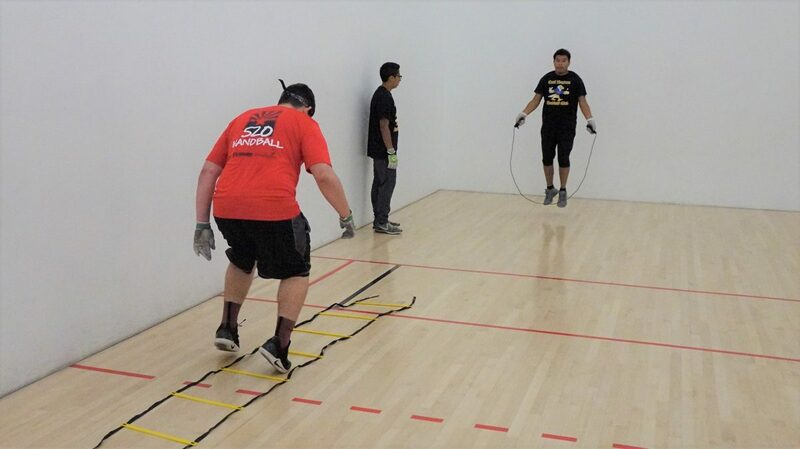 The final was dubbed a David vs. Goliath, Uziel vs. Rodrigo. 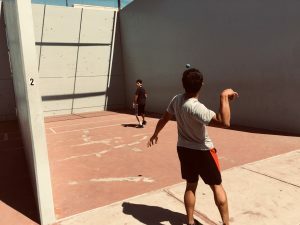 Rising handball scholar, Uziel, entered the match believing he had better odds playing the Power Ball than beating Hayden Handball Legend, Rodrigo Silva. The early play was a classic duel of back and forth exchange of kill shots and eye-popping rallies. 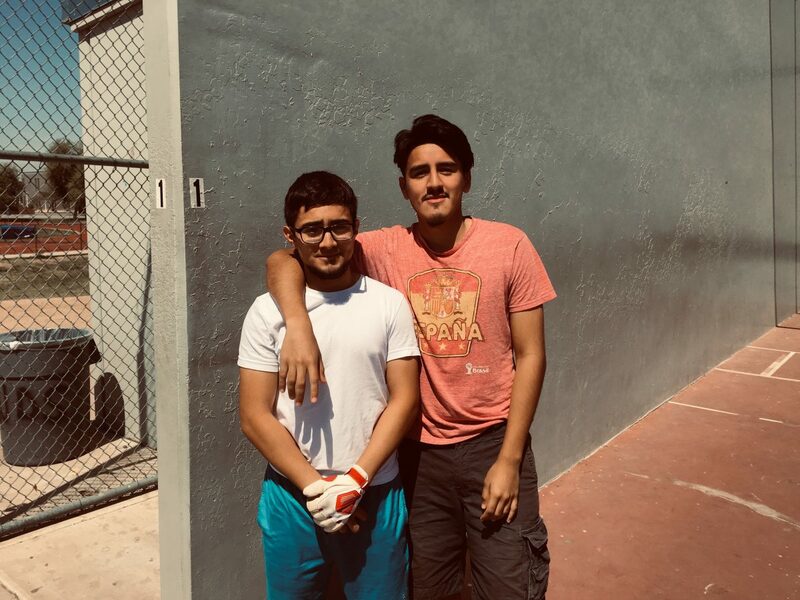 Uziel would not let Rodrigo out of his sight, staying within striking distance at 1-3, 3-5, and even taking the lead at 8-7. The lack of experience, however, was eventually revealed. 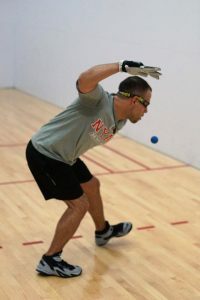 Rodrigo tied the match at eight and never looked back, capitalizing on Uziel’s mistakes to close out the match, 15-8. With Rodrigo and Uziel making it to the finals, they both earned a pizza party for their respective Advisory’s. The Carl Hayden Handball Club wants to thank you everyone for the donations, support, and continued encouragement. Have a great week!! 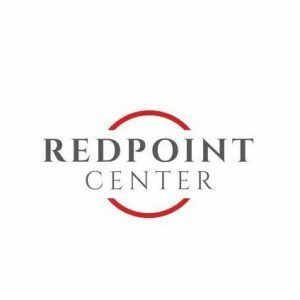 Longmont, CO, WPH Press, 2/24/19- The Redpoint Center, an outpatient substance abuse and mental health treatment program located in Longmont Colorado held the first of what will be an ongoing series of handball clinics for both youth and adults on February 24, 2019 at the Longmont Athletic Club. 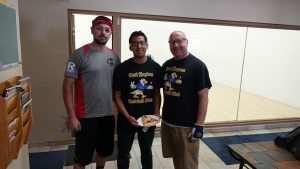 Sponsored by the Costigan youth Handball fund and JR WPH, the clinic was led by handball coach Bob Hickman, WPH Race 4 Eight 10th ranked player Jonathan Iglesias, former Colorado State Singles Open champion Armando Ibarra, and local handball favorites Jason Gregory and Kyle Jones. 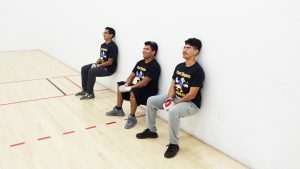 11 young men and women between the ages of 15 and 20 got to learn the fundamentals of handball, practice with the veterans, hear life stories, and watch an intense scrimmage. With a little practice, each youth was then given the opportunity to scrimmage. This was followed by a demonstration with Iglesias pitted against Ibarra and Gregory against Jones. 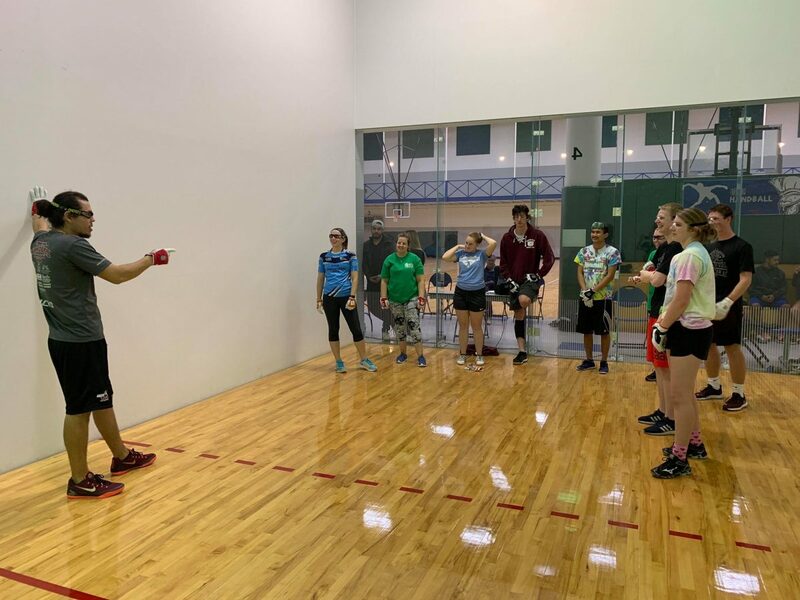 At the conclusion of almost two hours of practice, all youth were offered the chance to sign up for the 2019 Colorado State Singles Handball Tournament, to be played from 4/11/19 to 4/14/19 at the Denver Athletic Club in Denver. All students/juniors receive free entry to the event courtesy of the Costigan Youth Handball Fund. 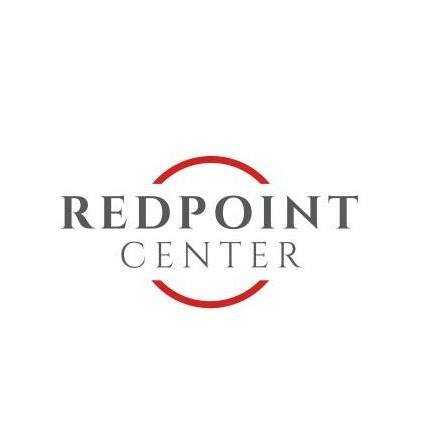 JR WPH was proud to have donated handball equipment to the Redpoint Center’s clinics. **Please note, names of participants in the clinic have been changed to ensure confidentiality. *** Post Script: Since the initial clinic was held, 4 youths have committed to twice weekly handball training sessions and are eagerly anticipating the Colorado State Singles Tournament. 21 JR WPH Hood River players were treated to a very unique junior clinic on the second Friday of March, as three of Oregon’s top 12 players traveled to the Hood River Elks Lodge to share their handball knowledge with the young handballers. Portland’s Stephen Stenberg and Nick Flores joined Michael Stenberg, Andrew Stenberg, and JR WPH Hood JR WPH coaches Ron Harder, Oscar and Helen Stenberg and the students. Seven coaches created a high coach-to-student ratio, which allowed the lessons to be very focused. In addition to the coaches, a photographer from Hood River News was on hand to take pictures. The morning class consisted of eight students from Horizon Christian School, ranging from 7th to 8th grade, including three young women players. The class was divided in half with four students on each of the two Elks Lodge courts. Stephen and Andrew Stenberg led one group and Michael Stenberg and Nick Flores led the other group. 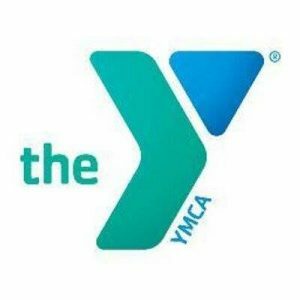 The 60-minute class was divided into four 15-minute segments. The first 15 minutes consisted of the coaches leading the students in stretching, followed by a game of short court. The second 15-minute segment featured skill-based instruction, in which the students practiced serving, returning, and hitting the ball to the ceiling. 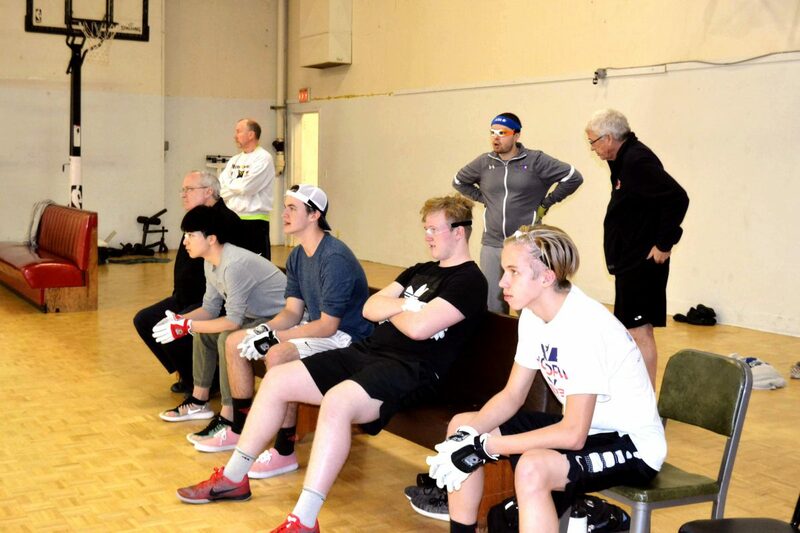 During the third 15-minute segment, students watched Coach Stephen play Coach Andrew and Coach Michael play Coach Nick, while coaches Ron Harder and Oscar and Helen Stenberg narrated the action for the students. The final 15-minute segment brought the students back onto the court to play against one other, while the coaches encouraged the players and provided further instruction. The afternoon class consisted of thirteen students ranging from 9th to 12th grade, retaining the same lesson structure as the morning class. 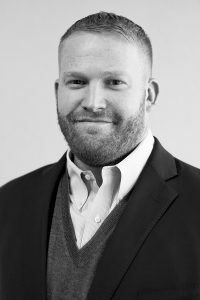 During the segment where the students watched the coaches play, one student commented that it looked like Stephen Stenberg was left-handed, which gave coach Oscar Stenberg an opportunity to explain that Stephen is actually not left handed, and how important it is for players to develop their off hands. 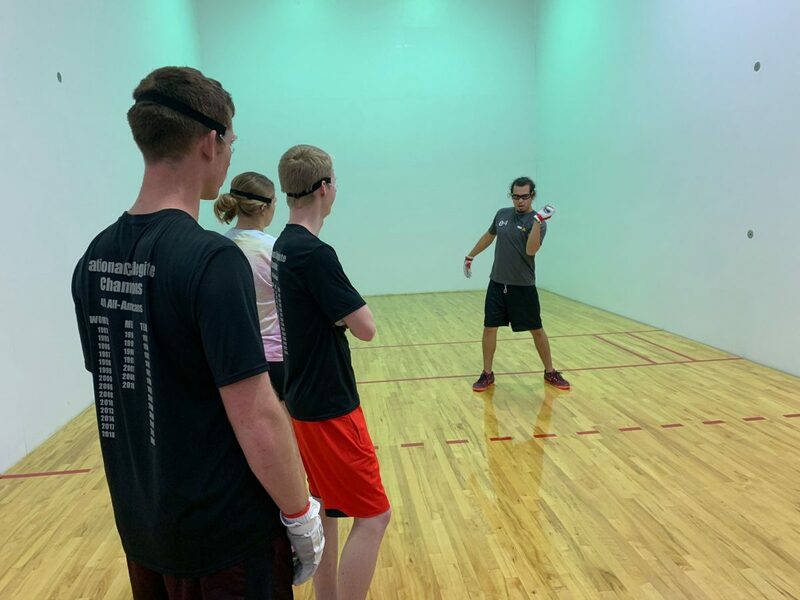 Following the clinic, the coaches gathered the students and discussed opportunities to play in upcoming WPH sponsored tournaments, including the 2019 Oregon State Singles Championship to be held in Beaverton in April, where Horizon Christian School players will play against Eugene’s Sheldon High School players. Additionally, the Horizon Christian School students will be featured at the WPH sponsored Hood River Invitational on June 1st. The students, especially the 7th and 8th graders, were very excited for the opportunity to play handball. Thank you to the Alten Handball Foundation for the “covered” student entry fees and travel expenses for both upcoming tournaments. 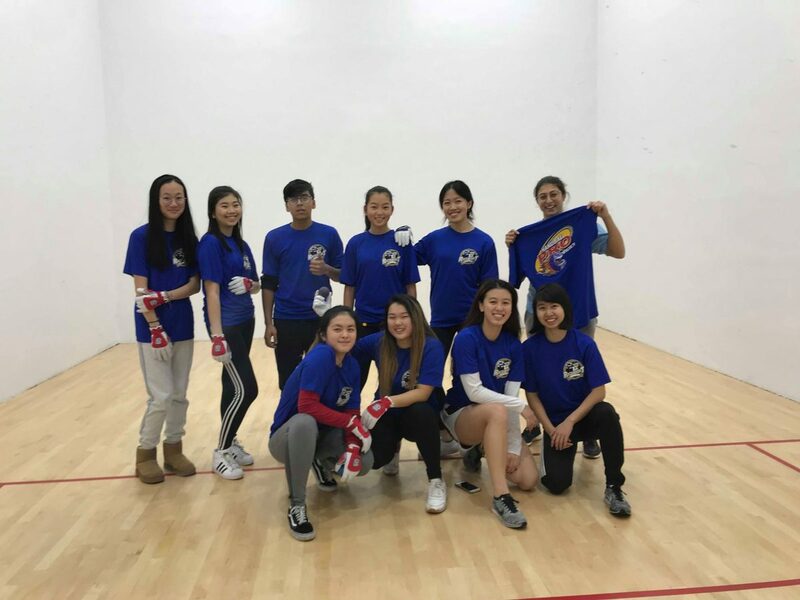 A huge thank you to the World Players of Handball for their generous donation of gloves, eye guards, and handballs to Horizon Christian School. 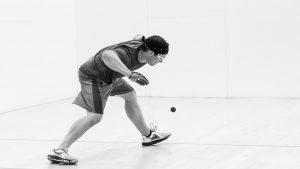 Without support from the WPH, the Junior WPH Hood River program would not be possible, and both the Oregon Handball Association and the Hood River Handball Association look forward to working with the WPH for years to come. 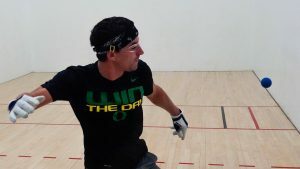 Before clashing in the 2019 EHA End of February Weekender Men’s Open singles final, Dalton Beall and Cody Townsend dawned their JR WPH Coaching Hats, teaching a clinic for a group of awestruck 10-and-under future Oregon handball stars. “The kids were very excited to be on the court with the two best players in the Pacific Northwest, as they learned new skills while playing big ball short court,” stated WPH reporter/ambassador/50-year member Nick Flores. 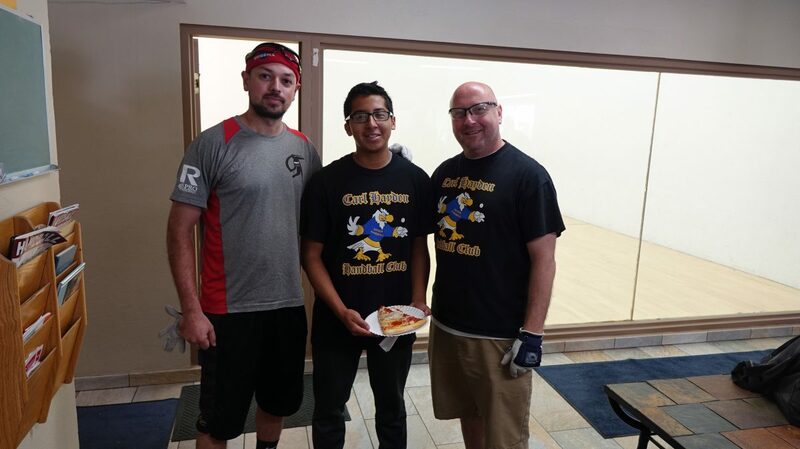 Tucson, AZ, WPH Press, 2/23/19- JR WPH proudly hosted junior handball clinics and match-play for the Carl Hayden High School’s flourishing junior handball program and Tucson’s Fred Lewis Foundation’s stars at the Tucson Racquet Club on the last weekend of the month. The juniors were treated to top handball instruction and the opportunity to make new friends. Manhattan, NY, WPH Press, Jan 14th, 2019 – JR WPH is extremely proud to support the Harry Mellis jr handball program at the Westside Y in Manhattan, NY for the 4th consecutive year. Several hundred youngsters have been introduced to 4-Wall handball through the JR WPH Harry Mellis junior handball program since 2015, with more young people catching the handball bug in 2019 through the outstanding initiatives of the JR WPH Harry Mellis youth development program. The JR WPH Harris Mellis program practices twice a week, transitioning from the Big Ball to Small Ball each semester. Each lesson starts with handball drills and ends with various games designed to implement the lessons from the drills and to have fun. Stay tuned for updates from the JR WPH Harry Mellis program throughout the winter. Pensacola, FL, WPH Press, Jan 13, 2019 – The Flying Cordovas held multiple clinics at the ’19 WPH – USHA Argo Collegiate Classic, as R48 #3 Danos Cordova & R48 #4 Luis Cordova divided 18 collegiate players from the University of West Florida, Missouri State University, the University of Minnesota, the University of Texas, and Lake Forest College into small groups to discuss handball fundamentals and strategies. 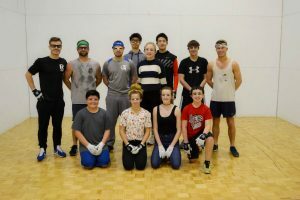 “I’m excited that this year’s tournament brought in the most players we’ve ever had,” stated UWF handball club president, Courtney Butler. 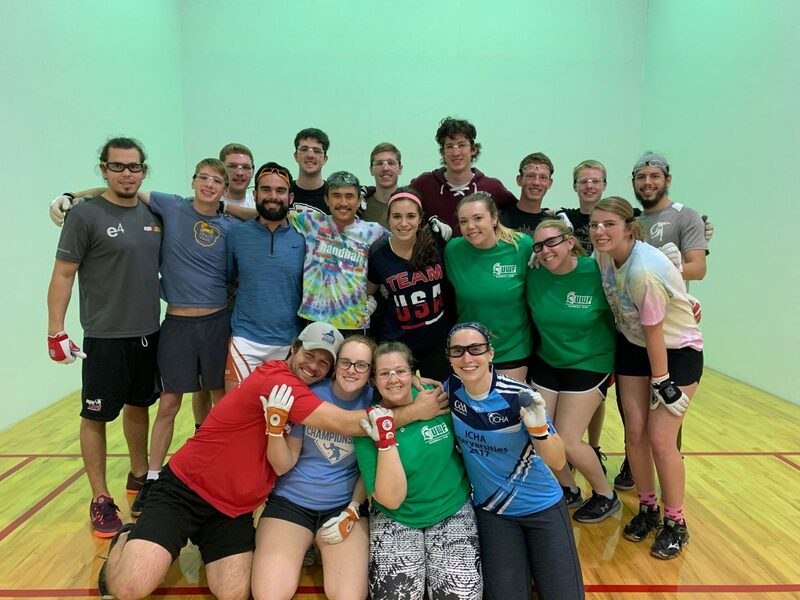 Thank you to the WPH and USHA for providing handball equipment and supplies for the Argo Classic and the UWF Handball Team, as well as providing world-class instruction and certification from Gary Cruz and the Flying Cordovas.